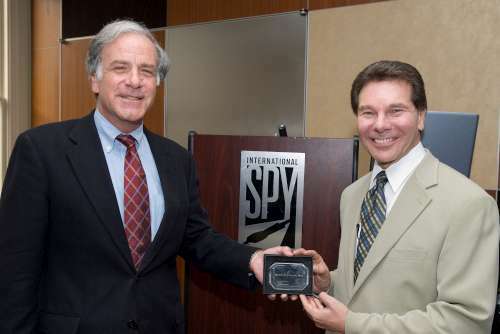 FABBS held its first Science Café at the International Spy Museum in Washington, DC to a diverse and enthusiastic crowd. 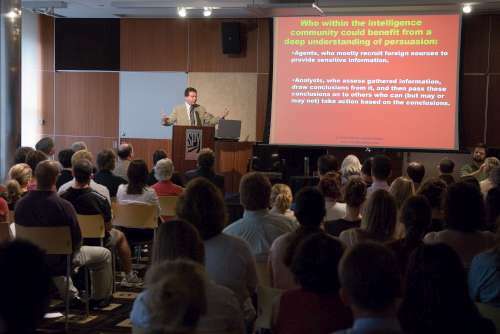 The café featured the work of noted social psychologist Robert Cialdini, PhD, whose topic was: “Propaganda and Persuasion: Psychology’s Use in Intelligence.” This event, held on August 2nd, was sold out prior to the start of the festivities and the room overflowed with more than 150 people, many from the general public and some from academic circles. In fact, scalpers were reportedly outside the front door of the museum “selling” tickets. 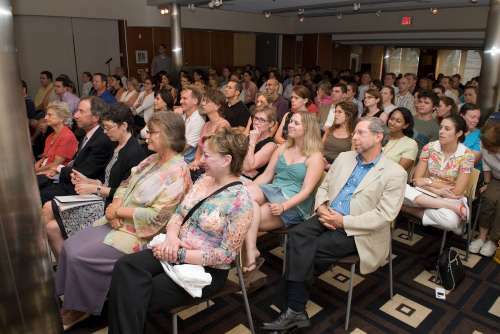 By all accounts, the café was a major success and met the mission of the Foundation to educate the public about important and relevant work in the behavioral and brain sciences. 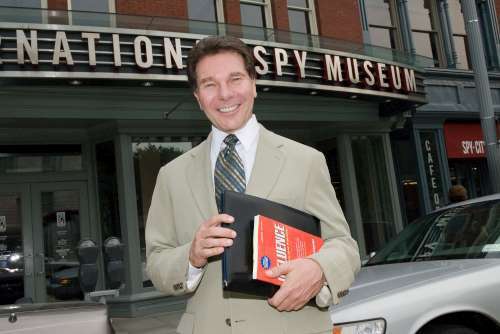 Peter Earnest, Executive Director of the International Spy Museum (and a former CIA agent), kicked off the evening by welcoming the crowd. 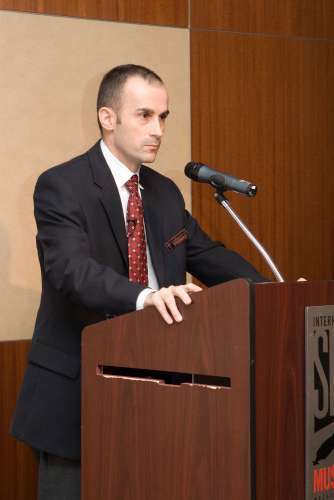 He noted that he was glad to see so many new people present for this event, and encouraged them to return in the future. 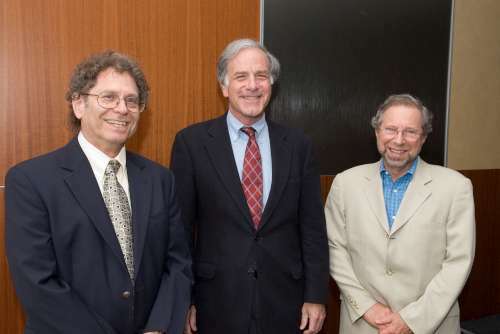 FABBS’ President James Pomerantz, Ph.D., followed with brief comments explaining FABBS’ mission, and then noted how, in the following presentation by Cialdini, the audience would hear evidence that human behavior is often more predictable than they may realize. 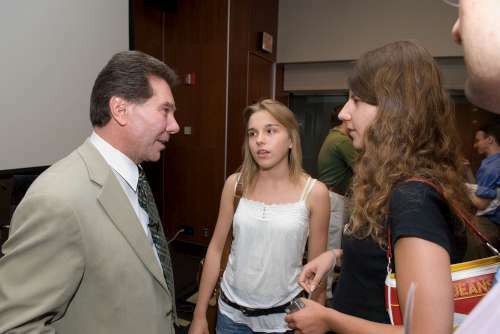 The public sometimes sees behavioral research as difficult because human behavior is inherently unpredictable and so challenging to study scientifically, but Cialdini’s research shows brilliantly how, with the right approach, human behavior can be understood and how principles of behavior can be developed and applied in important ways to real-world situations. Steven Breckler, Ph.D., the Executive Director for Science at the American Psychological Association, made a brief statement on APA’s goal to advance psychology as a science and a profession. 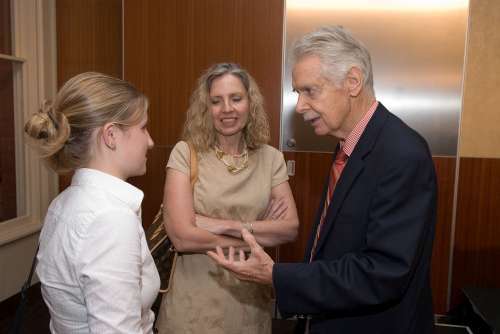 He noted how most people think of mental health issues when the study of human behavior is raised, and he noted that we will all have a better understanding of human behavior through the rigors of the scientific process. 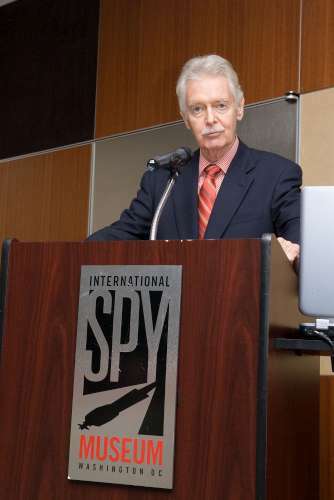 Following these introductory comments, Thomas Boghardt, Ph.D., the staff historian for the International Spy Museum, provided historical background on propaganda and persuasion that spanned several decades. He noted that the term “propaganda” has not always had a negative connotation and that it originally was used to mean simply “spreading information.” He stated that it was at the time of World War I that the mixing of propaganda with military intelligence came about, and this changed the meaning of the term. 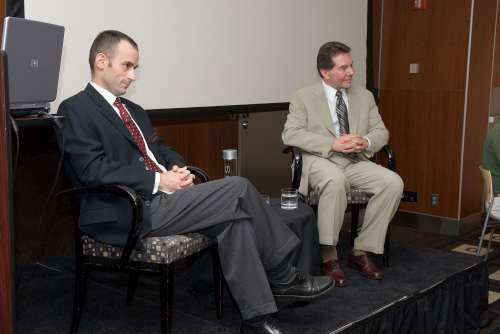 Boghardt discussed three historically-famous operations that used propaganda for a politically-desired outcome: the Casement Diaries in the 19th century, the Kennedy Assassination in the 20th century, and the Cartoon Controversy of last year. 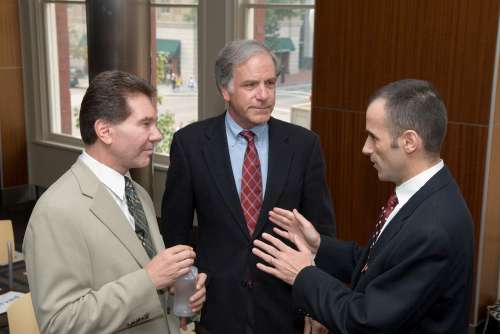 By way of introduction to Cialdini’s address, Boghardt noted that while all three of these operations were successful in different ways, it is important to understand why some succeed and some do not, and that research can play a significant role in answering that question. 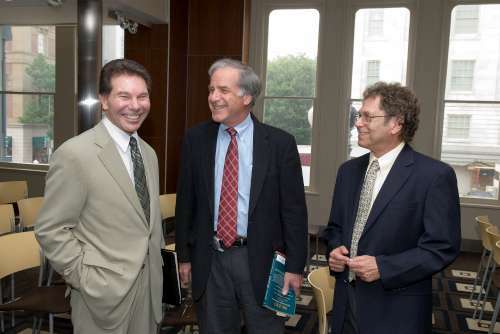 Cialdini cleverly weaved examples of real-world applications of those principles into his presentation and, in some instances, described how he designed new experiments based on prior findings. 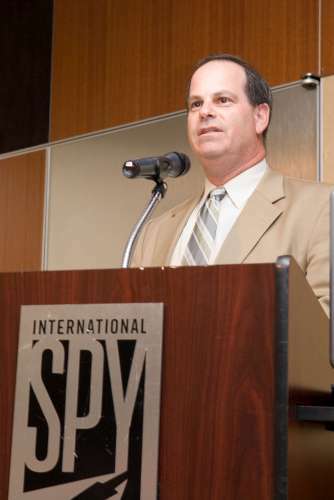 For example, utilizing Principle 2, or Scarcity, he described how Bose had marketed its new music wave system mostly by telling the public that it was “new.” The sales were not impressive and, as a consultant to Bose, he recommended just adding the phrase “Hear what you have been missing,” thus invoking a sense of loss. Sales significantly increased with just that one change in the advertising text. In another example, Cialdini indicated that Principle 1, Reciprocation, is extremely robust and stated, “There is not a society on earth that does not use this principle.” He noted that all societies have derogatory terms for those who do not comply (e.g. “moocher”). 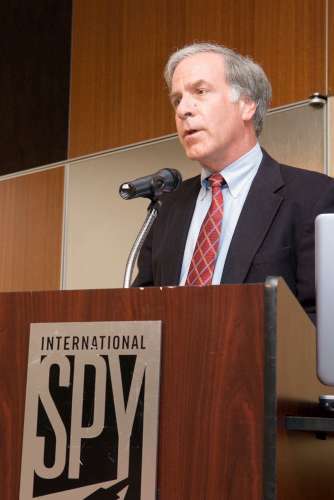 Cialdini noted that when a solicitation arrives in the mail from a charity, 18% of recipients are normally expected to donate to the cause but if address labels are enclosed in the solicitation as a gift, the rate increased to 35%. 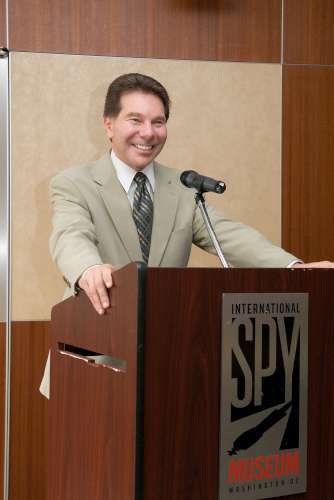 Cialdini noted that in the intelligence community, careful application of these principles could greatly benefit agents, especially those who focus on recruiting the help of foreign sources to provide sensitive information; and the data could benefit analysts who assess information and pass it onto others to take action.